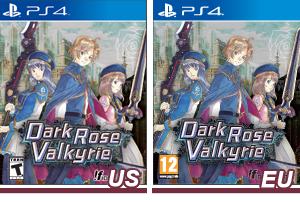 Dark Rose Valkyrie releases today in NA! Also, new intimate screenshots have been added! Some new screenshots have been added! Woot! A shiny new page was added, take a look at the Sound page! New icons have just been uploaded! 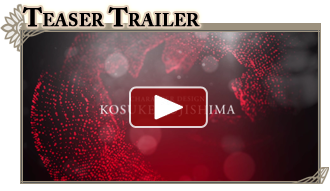 A new movie intro was uploaded today! Woot, check it out! Hear directly from the creators of Dark Rose Valkyrie! Take a look at the Creator Comments under the Special page! Learn more about the unique system features in our recent System page update! Some good stuff there! Big update here! All characters are now revealed on the Character page! Take a peek! Meet two charming boys on the Character page! Also, take in some interesting tidbits on the Interview System, now added on the System page! A duo twin team you gotta meet - you will find Amal and Coo on the Character page! Also, Tactical Combat System is explained on the System page! Chimera and Shin Yamato Empire revealed on the Introduction page! Also, Luna and Yue are pleased to make your acquaintance on the Character page! Lots new updates! Learn more about Dark Rose Valkyrie™ in the Introduction, meet Asahi and Ai on the Character page, and take a look at the Battle System! Dark Rose Valkyrie official website launched!